In a city that is go go go the little bit of bliss found in a latte is awesome to slow slow slow down. I believe the latte is like Toronto’s own Soma (that’s a “Brave New World” reference btw). Its power is why I believe people in Toronto drink so much. Everything from the smell, the taste and the sound of it being made is soothing to me. It’s like a miniature escape. My poison of choice is the always-cozy warm-hug soy latte with no foam and a dash of cinnamon. Now before you get all up in my grill about the picky request for no foam, it’s because when you get foam sometimes that’s all you get! You go to take a sip and realize your cup is half foam. Sorry, but for five dollars a cup no foam for me. Hey Starbucks and Second Cup, a little tip – Why not use those little lines on your cup to identify max foam capacity? You’re welcome. When I get my latte it’s like a ritual. Take order. Hear drink being made. Receive cup. Sprinkle cinnamon. Inhale aromas and relax. During these few precious moments my heart rate slows, my nerves calm and I am taken away. Funny enough it turns out this ritual is part of Starbucks’ master plan according to Time Magazine. Damnit. Oh well. The latte is an excuse for a short break from the crazy Toronto paced life. In a time when most people skip their lunch breaks, a coffee break is your only salvation. A coffee is a reason for a short meet up. And you can even tell your employer that it BOOSTS your productivity. Read the Globe and Mail article here. 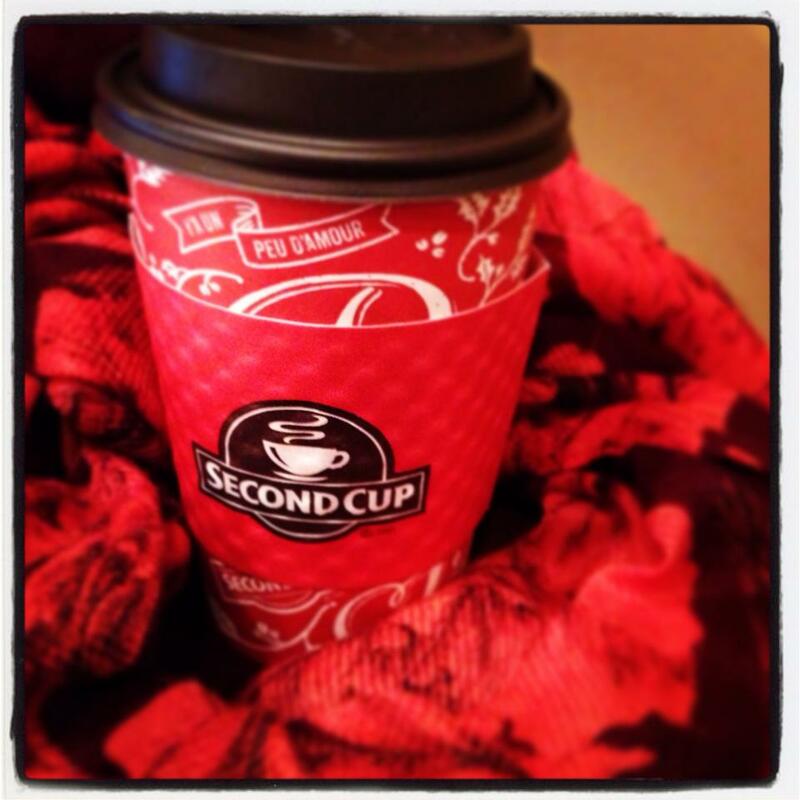 Actually, I’m not going to lie… most of my blogs are written at my local Second Cup. What’s your fav place for a latte? This entry was posted in Commentary and tagged Coffee, Latte, Second Cup, Starbucks, Toronto, Torontonowhere, trending by hollypost. Bookmark the permalink.